When we talk about these valleys: Asni Valley, Sidi Fares, and Ourika valley, automatically be sure that you will have an amazing trip which in you will discover all these ones. 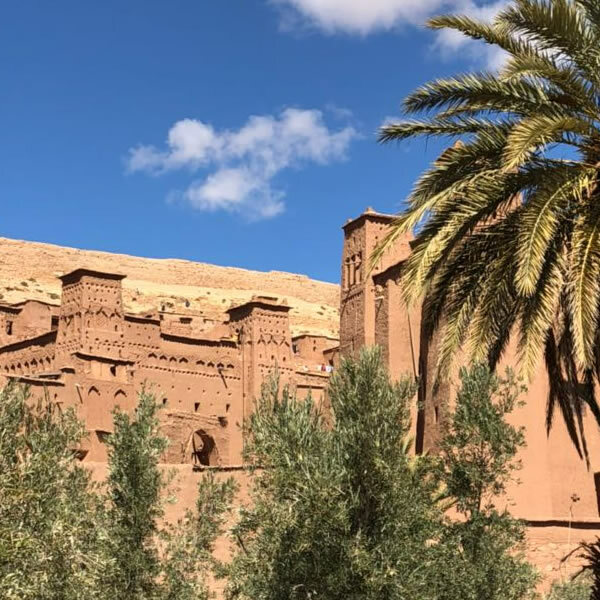 First, at 9 AM your guide will take you from your hotel or riad to leave Marrakesh to the High Atlas, during his drive, you will see several villages before you attend Ourika valley, these villages extend for about 30 miles across the foothills of the High Atlas. This is one of the wonderful rides where the road accompanies Ourika River. This river even in the summer months does not dry. Somewhere during our trip, in the valley, we will take a mint tea break before we carry on our driving to the foothills of the Atlas Mountains. After our break, we will take the off-road leisurely, but if it happens to be a day where it is a Berber Market in one of these villages, we could visit it. Also, we can stop whenever you want to take pictures and we will be able to give you all information you need. People, who live in those villages, suffer from poverty, so we always motivate our clients to bring with them their unwanted clothes, shoes… and they distribute these items once they meet the Berber children on the way. We will continue to ascend until we leave the main road at a height of over 2000meters, then we will follow an old, partly paved Berber route to arrive in Sidi Fares valley, this is area is famous for apple’s tree. 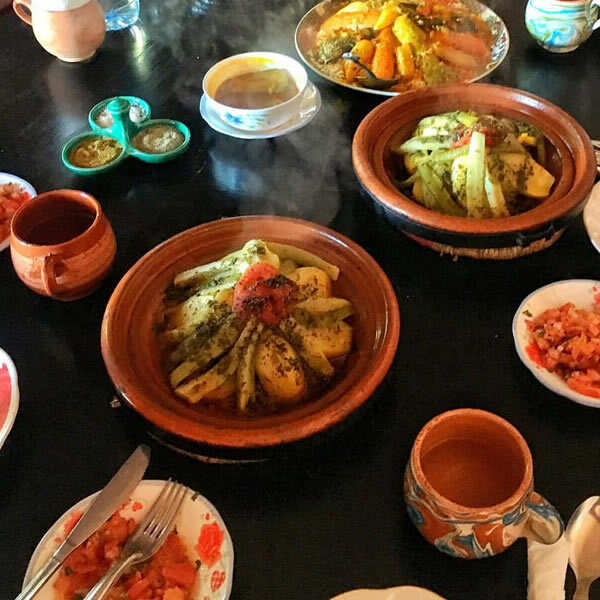 In a Berber house in a village overlooking the Atlas Mountains, you will take your lunch. The lunch food will be homemade and organic (like chicken tagine, couscous, tomato salad and fruits). If you are vegetarian please inform us for with 24h, to be conscious of it. After lunch, we will continue our trip to the greener Asni valley, where the orchards lined the way. You can also see the Mount Toubkal: the highest peak in the Northern Africa (4167 meters) and it may be often covered by the snow.